Typically, all healthcare workers must complete HIPAA compliance training once a year, but finding the time and resources can be a challenge, especially in small and mid-sized practices and clinics. Good news: now there’s a respected, convenient, and affordable way to meet annual HIPAA training requirements no matter where you work. The University Learning Store offers an online HIPAA Orientation you can take at your own pace, from any device. Are you due for a refresher? Here are four reasons the University Learning Store’s HIPAA Orientation is an ideal way to meet your hospital or clinic’s HIPAA training requirements. 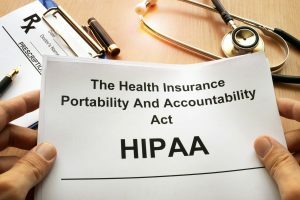 As a healthcare worker in America, you need the ability to apply HIPAA privacy and security regulations in your day-to-day work at your medical facility. We will cover appropriate ways to work with patients, their families, and other individuals who may want to know about a patient’s care. We’ll also cover how to work with external organizations who often contact healthcare providers for information about patients. As the orientation progresses, we’ll address how to deal with typical scenarios as well as more complicated scenarios to ensure you and your organization are compliant with applicable laws and regulations. Whether you are an experienced healthcare worker, a career shifter or a new graduate, within just a few hours you’ll know what you must do to be compliant with the latest, national HIPAA regulations. If understanding HIPAA requirements is the most attended healthcare training, then Dan Rode is the most in-demand instructor. A highly-regarded expert in the privacy and security industry, Dan has studied, presented and trained physicians and clinical staff since the inception of HIPAA in 1996. He has also helped influence national public policy in health information management in his role as vice president of advocacy and policy for the American Health Information Management Association (AHIMA). To make HIPAA Orientation widely available and easily accessible, Dan has partnered with the University Learning Store, sharing his broad industry experience and expertise to reach thousands more learners in the growing healthcare field. By enrolling in this HIPAA training, healthcare administrators, staff and volunteers have the opportunity to benefit from Dan’s 40+ years of experience and his significant contributions to the industry. Another benefit of enrolling in the University Learning Store is that your credential will bear the name of the issuing institution, one that employers recognize and value. For this HIPAA training, your credential is issued by the highly-respected University of Wisconsin-Extension. The University Learning Store is unique in the world of higher education in that a group of the nation’s leading universities have partnered to offer job-focused skill sets and award micro-credentials and certifications, all in one marketplace. 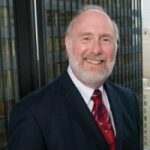 Partners include Georgia Institute of Technology, University of California, Davis Extension, University of California, Irvine Division of Continuing Education, UCLA Extension, University of Washington Continuum College and managing partner, University of Wisconsin-Extension. This HIPAA Orientation can be earned in just a few hours. Healthcare workers juggling multiple shifts will find the self-paced course a life-saver. You can start any time and learn what you need, when you need it, using nearly any device. Because the material is available in short segments, you have the ability to stop and start your learning to suit your schedule. A quick search for HIPAA compliance courses reveals a wide range of prices. Compare and you’ll see that what used to be reserved for only those able to pay $199 is now much more affordable at $39. Are you ready to gain an understanding of HIPAA in your workplace? Then sign up for your HIPAA Orientation today.